We provides comprehensive solutions for establishing end-to-end data connectivity with any existing field device such as RTU, meter or an actuator using GPRS / EDGE / 3G / LTE network. 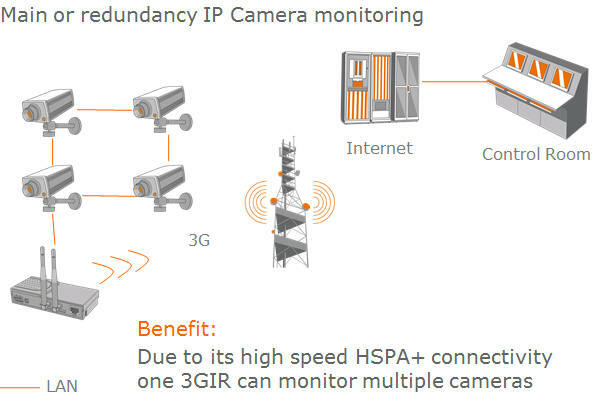 Our solutions are intended for getting access to critical data from remote assets over wireless networks in a secure and reliable way. 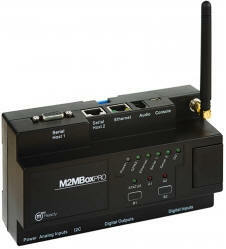 The M2MBoxPro is a ready-to-use industrial gateway for voice, data, fax and SMS services. The M2MBoxPro supports cellular connectivity as well as Ethernet, serial ports (RS-232 and RS-485), USB and various industrial interfaces. Fully customizable using Clear clear Communication, the M2MBoxPro can be easily controlled by using AT commands over UART, TCP, UDP, SMS and email. As an M2M specialized, mature, proven, software platform, It is ideal for fast customize development.